Literally, evaluation means to judge or calculate the amount or importance of something. To me, evaluation is the activity of viewing things from a variety of angles for the acquisition of specific aims. But in the field of education and. instruction, evaluation is a formal process which aims at discovering the facts that the students have mastered by the instruction of particular content and skills. • Evaluation is such an activity in which an attempt is made to see to what an extent the predetermined objectives have been acquired for which the instructional process was carried out. • Evaluation is a formal procedure which attempts to know the extent of expected behavioral changes in the students achieved. Measurement is one of the aspects of evaluation. It plays an important role in evaluating the educational performance of the students. It is directly concerned with the evaluation. • Measurement refers to the act of finding dimensions of any object and the quantity found by such an act. • Measurement refers to th process by which one attempts to measure the quantity of learning and teaching using various formal techniques. • Measurement is an activity in which a thing is compared to a particular standard so as to know its present range and quantity. • Measurement is a procedure which aims at knowing the degree of a particular trait in an individual. Literally, assessment means to decide the value of a particular thing. But in the field of education and learning, assessment is an activity in which a teacher keeps watches the comprehension, readiness, interest, involvement and attention of the students in the instructional process so as to maintain appropriate instructional environment in the classroom. • Assessment is an outlook under which a teacher guards the factors that affect the instructional process. 1. Evaluation is concerned with viewing the extent of success in the efforts made for the acquisition of the objectives of education by means of the instructional process. 2. Evaluation is a comprehensive program which ranges from the quantitative changes to the qualitative changes. 3. Evaluation is an integrated whole which consists of different components. 4. Evaluation is a continuous process with regular intervals. The prograin of evaluation is pre-decided and predetermined. 5. Evaluation is concerned with those behavioral changes which are essential for the acquisition of the objectives of curriculum. 6. 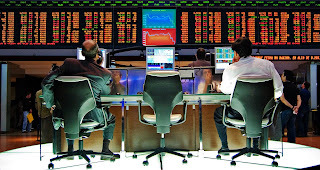 There are many dimensions of evaluation which help in assessing the behavioral changes. 7. Both the objective and subjective tools are employed in evaluation. 8. Both the formal and informal techniques are adopted in the process of evaluation. For instance, examination is a formal technique whereas observation is an informal technique of evaluation. 9. 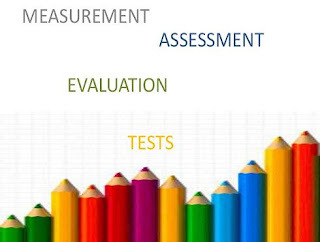 Evaluation analyses the performance of the whole educative process. 10. The examinations conducted in the educational institutions are a remarkable example of evaluation. Evaluation aids in knowing the behavioral changes occurred in the students. 1. Measurement is the activity of determining the quantity of a trait in a particular thing. 2. Measurement is concerned with the quantitative aspect of the traits of an individual or thing. 3. Measurement is an aspect of evaluation which is concerned with the quantity of behavioral changes. 5. Measurement is associated with the quantitative changes and their comparison other prescribed standards. 6. Measurement is a dimension of evaluation. 7. Only the objective tools are utilized in the process of measurement. 8. Measurement is restricted only to the formal techniques. 'Test' is the most significant tool of measurement e.g. mental test and aptitude test. 9. Measurement is concerned with the particular amount or quantity of a trait or learned experience. 10. The tests, like mental tests, aptitude tests, alpha tests, in order to measure the personality of the individual, are the formal techniques of measurement. These tests indicate the quantitative extent of a trait found in an individual. 1. In Assessment, the teacher keenly observes the learning attitudes, interests, attention and comprehension of the students in order to maintain appropriate instructional conditions. 2. Assessment is directly concerned with the attitudes which influence the instructional process. 3. Assessment is an aspect of evaluation which is concerned with the understanding of attitudes. 4. Assessment is a continuous process. The intervals negatively influence the process of instruction. 5. Assessment is concerned with the instructional environment of the classroom. 6. 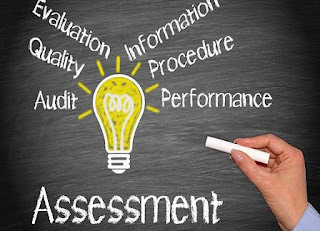 Assessment is also a significant dimension of evaluation. 7. Assessment is a subjective tool. It is, primarily, concerned with the internal feelings and subjectivity of the teacher. 8. Assessment is a conduct that is informal in nature. Within the parameters of assessment, the teacher makes his/her decision on the basis of personal ability and experience. 9. Assessment is directly concerned with the environment of the classroom. 10. Interest, readiness, comprehension and attention, in order to maintain an appropriate instructional environment, are the significant examples of assessment. The process of educational evaluation makes the teachers and the educational administration acquainted with the extent to which the objectives of education have been achieved. Practical skills and activities are conducted for the realization of objectives of education. The process of evaluation is necessary in order to know the extent to which these activities have helped in obtaining the educational objectives. To me, evaluation is a mirror in which the degree of the realized objectives of education is reflected. This is one of the significant aims of education is to produce behavioral changes in the individuals. An organized effort is made in terms of the educative process to produce the behavioral changes in the individual. But the question arises here how to measure the range, extent and degree of the occurred behavioral changes. The process of educational evaluations answers to these questions. We can know by means of the process of educational evaluation about the extent of expected behavioral changes. The results of educational evaluation indicate the present and achieved educational performance of the students. It also points out the defects in the educative process, performance of the teacher and the extent of success of the education policies. Keeping in view all these facts and educational affairs, the education system plans for better future educational strategies. The results of educational evaluation guide the educative process to the clear destination. There might have been many defects in the instructional process, over expectations regarding the effectiveness of the curricular content and elements failed to bring about the desired results. The results of educational evaluation unfold all these defects. The educational administration devises an explicit and modified strategy for the process of education in the light of the afore-said defects. A teacher can know the level/degree of educational achievement of a student by means of evaluation. During the process of instruction, a student is imparted various information and skills. The process of educational evaluation allows the teacher to know how much the imparted information and skills have become the part of the personality of the students. The level of educational achievement indicates the extent of the occurred behavioral changes in the students. If the process of educational evaluation does not exist, we might not be able to know the degree of educational achievement of the students. If we wish to suggest a course of action for the students, we will have to evaluate their performance properly. Motivation is an inner state which persuades an individual to act. There is a motivation behind every action of the individual. When a person is motivated, there is some unseen force which is pushing him to act. This force is termed as motivation in the terminology of education. The process of educational evaluation motivates the students to get success. The success in the examination is the only motivation which activates them to perform well in the process of evaluation. The outcomes of educational research are used in educational research. The necessary modifications and reforms are made on the bases of observations of the teachers, results of mental tests and examination results of the students. The educational research takes the findings of evaluation to the laboratory and devises the future educational programs in a comprehensive manner. The students are promoted to the next classes on the basis of the results of evaluation. The results of evaluation tell the whole story of students mastery of the content and whether they should be promoted to the next classes or not. If the process of promotion to the next class suspends, the system of education might have been inactive and static and unmoved. In this regard, all the experts acknowledge the significance of educational evaluation. This is the only valid means of promoting the students in the next classes. By means of the findings of educational evaluation, a teacher can know the grade of a student in comparison to the other students. When the performance of a student is compared to the other students, it determines the educational grade of the student. Grading of the students is a sensitive process. The process of evaluation helps in grading the students scientifically. Grading of the students enables a teacher to determine the educational status of the student. What a student can do? Aid what should he/she select for him/herself? These are the questions which are directly concerned with the educational evaluation. The students of a class possess different abilities and tendencies. Particular professions and subjects suit particular students due to the individual differences among the students. The natural tendencies and the choices of the students cannot be alike. A teacher can know about the natural trends of the students by means of the results of the educational evaluation. In the light of the results of educational evaluation, the teacher can guide the students regarding the selection of professions and subjects.